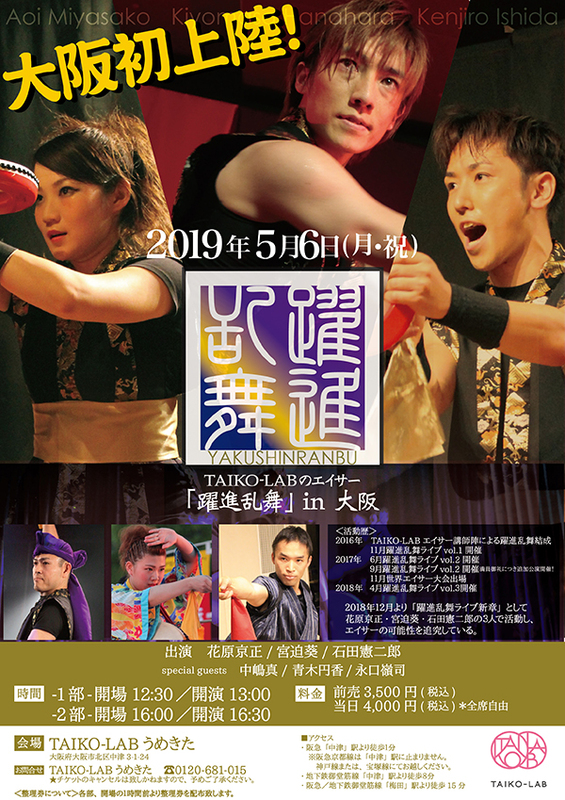 We believe playing Taiko is good for both your body and the mind, so it is our wish that everyone in the world, from children to seniors experience the joy and energy of Taiko drumming. If you are in Japan, we hope you join us to try authentic Taiko drumming for the first time! Please see our FAQ if you have any questions regarding Japanese Taiko drums, their history or maintenance. In our Taiko classes, you can get a taste of authentic Japanese culture, no experience or knowledge of the Japanese language needed! Our performance troupes and staff tailor each show according to our host’s wishes and our venue. 2017/09/20Website was remodeled. Please see it by all means.